Why do my jeans fit only in the morning? Why am I always guzzling Pepto-Bismol before a big meeting? Could my PMS cramps mean something serious? As someone who suffers from more than one digestive ailment (from which I will spare you the details), I think this book is a must-have for your shelf if you are one such sufferer. The book was divided into logical chapters, and each chapter had subheadings in the form of questions for easy access to the information you need, so you can skip the information that doesn't apply to you. 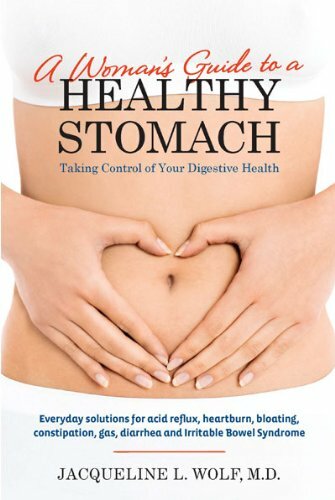 I highly recommend this book to any woman who suffers from any sort of digestive ailment. It's the perfect go-to reference tool whenever new symptoms pop up (as they tend to do with me) or you're dealing with an ailment for the first time. Since women deal with digestive issues more than men do, I appreciate the fact that Dr. Wolf catered to the audience who needed it the most.